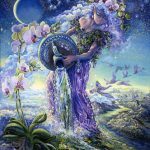 Immediately after the Aquarian Eclipse of February 15th, Mercury and the Sun moved to join four other “Pisces placements” already crammed into one solar house and affecting one specific realm of your personal life experience. Tomorrow Juno, the asteroid of commitment and marriage, joins the group. 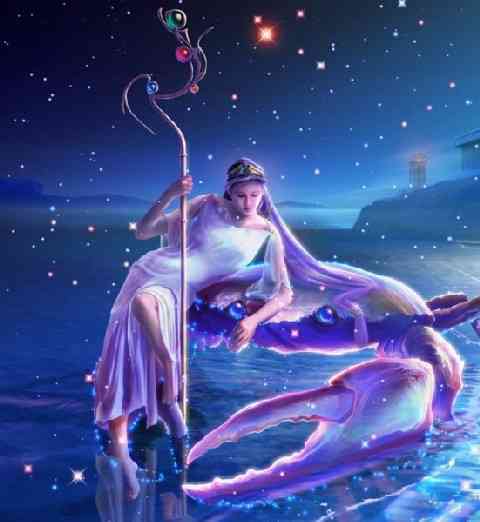 The quality of Pisces energy is notoriously softening, blurring, dissolving, and undermining. It’s influence tends to be a “mixed bag” but basically Pisces makes it hard to sustain and support whatever you’ve got going on that’s past its expiration date. 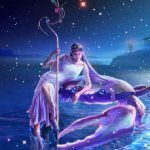 It’s difficult to get traction within the realm of experience indicated by your “Pisces” house. Which house is designated your “Pisces house” is determined by your Sun sign. You’re accustomed to the influence of Pisces energy in your “Pisces house” – just not this much. Exhaustion, weakness, and burn-out may be issues. 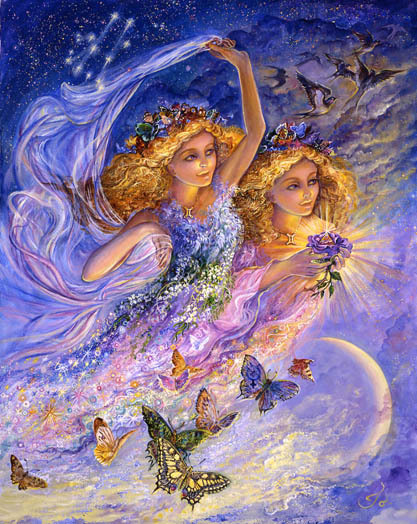 More positively limitations and blockages dissolve along with an entire psychic framework that may be past its prime. Moving into a new and higher level of level of awareness – a feat that might ordinarily take lifetimes to accomplish – could happen over night. Miracles blend in with the course of ordinary events. Your perception of time may be altered. Spaciness and some measure of disorientation is a given. But under Pisces influence following up on “hunches” could become a relatively safe bet. At your disposal may be “webs of knowledge from other realms” that can be translated into practical procedures. 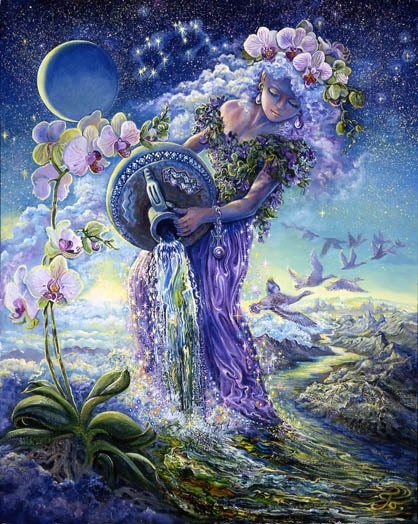 Access to spiritual guidance, an expansive imagination, and artistic inspiration is pure Pisces energy. Providing receptive channels for the current overload of nebulous energy involves the pursuit of art, film, music, romance, meditation, reflection, absorption, yoga, healing, sailing boats, and taking long baths. The oceans, the night sky, inner longings, and the feeling that you are part of something vast, mysterious, unknowable is especially nourishing now. Practically speaking to the extent you accommodate rather than curse this Pisces overflow, it tends to work in your favor. This is a time-limited challenge and rare opportunity. If you can delay exacting work that requires calculation and meticulous attention to detail that seems wise. Assisting the flow of “useless stuff” out of your life is more aligned with the quality of available energy. If you can’t find a use for something you’re storing, pass it on or toss it out. 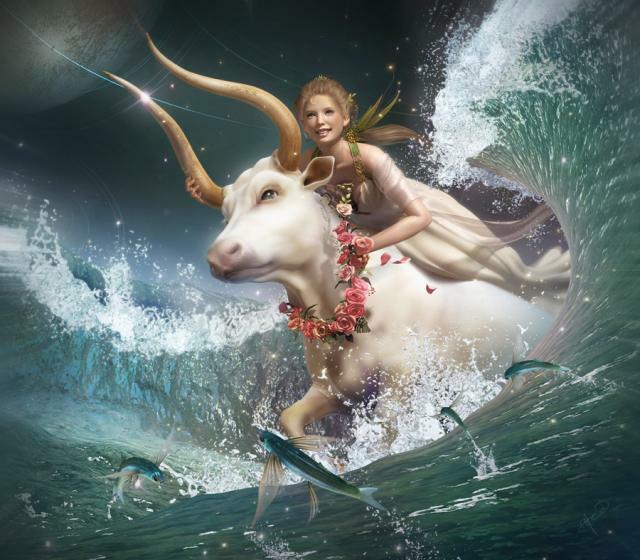 Mars in Sagittarius by sign harshly aspects Pisces energy. Decision making or taking some kind of action to alleviate a build-up of internal tension is required. Interestingly Pisces and Sagittarius are both ruled by Jupiter. He’s currently traveling through the sign of Scorpio. Juno (the asteroid of commitment and marriage) moves into Pisces territory. She needs a soft, compassionate space within which to consider and acknowledge that an old commitment is loosing steam. In astrology we tend to interpret the North and South nodes as providing context to whatever else is going on in a chart. Somewhat simplistically we interpret the South Node as something that has run its course and needs to be diminished. The North Node we interpret as a vital, promising, unexplored new direction. The South Node, currently in the sign of Aquarius, represents a somewhat detached approach to life. Psychologically Aquarius puts distance between the life “in her head” and the life she’s actually living. The intolerable becomes tolerable. Distancing makes this possible. She’s able to be immune from what most of us may be very sensitive to. The North Node in Leo is the opposite. He’s fully engaged with life, warm, sociable, and driven most by concerns of the heart. An outworn or meaningless life can be excruciating for him. 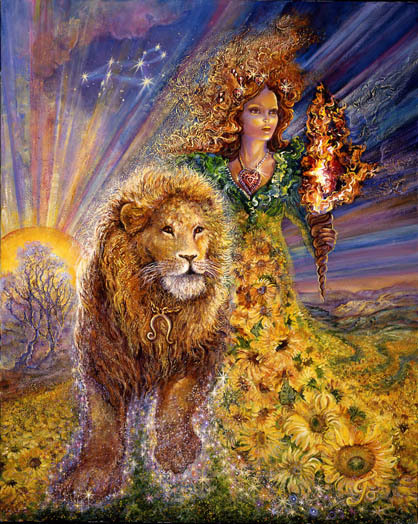 Within each of us exists both the Aquarian and Leo way of being. But it’s time to consider how we can become more engaged and what would make that possible for us. Follow through is the next step. 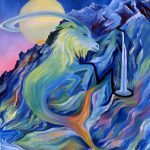 The current cosmic arrangement may be a welcome relief for Aries. Finally things appear to be moving in a forward direction. Internal blocks and limitations slowed your progress for awhile but now the coast is being cleared. 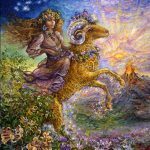 Late February to late March is always the designated time of year for Aries to dissolve the remnants of the past year, to process and integrate lessons learned, and to clean and clear the slate for an ambitious new beginning. That new beginning usually coincides with the Aries new Moon in April. 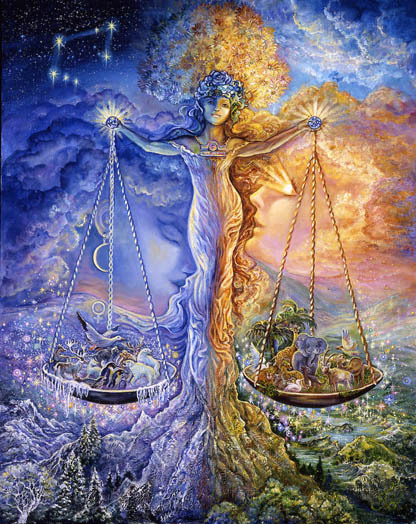 Interestingly it seems that the current build up Pisces energy is enough to erase lifetimes of limitation. You may notice that emerging opportunities seem more expansive, profound, or inspiring than usual. 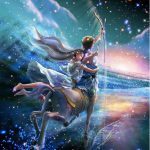 Mars in Sagittarius puts the focus on future expansion. Now is the time to recognize what no longer confines you and how that opens doors you may have never been receptive to in the past. Aries is known for being courageous. But the fact is they’re afraid of everything. They just understand that fear is never a valid excuse for them and that indulging it invites some severe consequences. 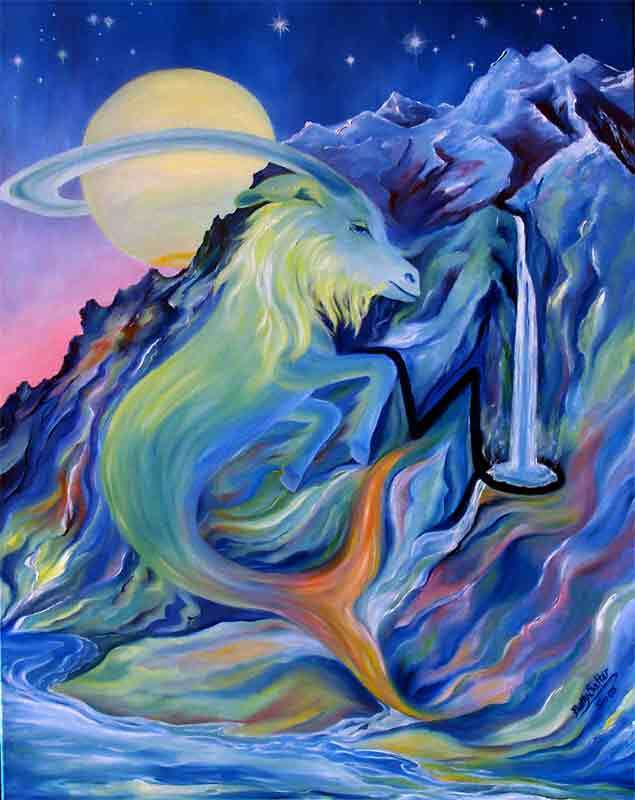 Aries acts in spite of fear. They “go for it” and tend to land on their feet when they agree to forge a new path for others to follow. They land on their feet when they lead. 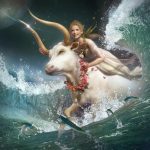 Fading away for Taurus may be the framework of an old social life, an old love life, or an old, self-sacrificial way of relating to their life-long dreams. A new kind of life that enables something more compassionate, connected, romantic, and highly refined may be aligning with the dreams you’ve always had for yourself, but for some reason assumed they could never manifest. Maybe you actually did hold out hope and now that’s paying off. This is a transitional phase for you. You may be between worlds attempting to hold onto what you used to need to be attached to. Mars is making that difficult. Old relationship connections and commitments may need to fade away and that may take more time. But it’s definitely being given a boost this week. The fact is moving into the future requires letting go of the past. For you that seems complicated as most of what’s left to be done is an unraveling of old psychological conditioning. Those roots run deep. But Mars in Sagittarius territory always gives the same answer – tell yourself the truth about why you hang onto what you hang onto. Do it despite any fear of doing so. If you’ve never had access to that deeper truth chances are you will this week. Mars speeds things along. He’s incredibly impatient. Something about your commitment to a future you designed awhile ago is coming to a close – an old commitment that keeps you contained within safe boundaries that you can tolerate as long as you put some distance between you and the nature of what your experiencing. 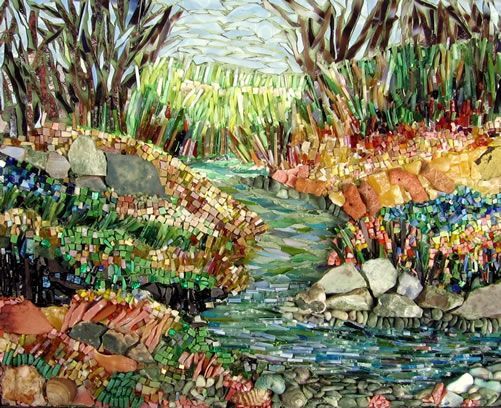 An old idea or perspective you were once committed to is entering “dissolution” territory. You may feel some inner intensification and potential new freedom that allows you to throw something overboard. Fear may have had too much input into the kind of future you once agreed to commit to. Now is a chance to back out, to let go of something that doesn’t hold as much meaning as it once did, and to fully engage with the part of yourself that is less driven by fear and familiarity. The truth is you can organize and re-organize anything – especially shape-shifting or artistic things that resist organization or a structured framework. That’s a talent deeply embedded in your inherited DNA. Your role with the public may be an extension of a role one of your parents played. In fact your life direction may seek to rescue an unfulfilled dream of one of your parents. They may have been limited in some way that you are not, so you can pick up the baton and carry on. The other possibility, though, is that you could let go of the need to rescue a dream that does not belong to you and attend to your own. The world craves an organization that is softer, kinder, and much more beautiful. You can deliver that but you probably need to first let go of something you’ve been committed to. An old commitment to the way you wield power within financial partnerships – or the way you wield power in general – has run its course. A dawning awareness of something abusive – controlling others through generosity, or withholding money, or tampering with anothers means of survival, for example – may no longer feel necessary or tolerable. Just because you can doesn’t mean you should. Or just because another can doesn’t mean they should. In fact you’ve probably reached the conclusion that the unethical wielding of power cannot continue. Pisces can confuse and complicate. She is shape-shifting and reflective – often like a distorting fun-house mirror. What may look like a generous gift could actually be a power play motivated by fear or the belief that it can all be justified in some tangles, messed up way. 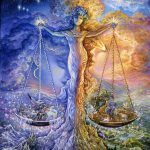 Ethical concerns and a dissolution of old notions of right and wrong, especially within the realm of relationships are ongoing. Future relationship structures and how you want to set those up may be very different from what you’ve set up in the past. How you proceed from here cannot look like how you’ve proceeded in the past. It seems that will no longer feel tolerable. Personal spiritual evolvement and harsh consequences erase abuse from your future repertoire of options. A serious commitment to your relationship with your work (or your health) may be in the process of dissolving. A transformation is on the horizon. Coming from a partnership – financial or otherwise – there is an influence that makes total devotion to work and the notion of achieving perfection no longer sustainable. An old commitment is fading. There is more to life than work. What’s deeply ingrained and embedded within your old psychological framework is beginning to soften. There may be such a thing as work/life balance that could be more satisfying to you. The notion of infusing your life with joy is appealing and increasingly possible. A partner may insist on it. What is being cleaned and cleared at the moment are internal, psychological, limitations that prevent future expansion. It’s time for you to move into your destined role as the “life of the party”, the joy-attractor, the one who shows others how much fun it is to be alive – not how much back breaking work can be done in one day. Leo gets off track when he/she decides to be a grown-up – exclusively. Your children and/or your inner child is seeking some kind of a reunion with you. The cosmos (and partners) are doing their best to assist. Saturn and Pluto will test your commitment to yourself by throwing a heavy work-load in your direction. Stay true to yourself. Your work performance and unwavering commitment to work will never compensate for a betrayal of your essential self. A commitment to self-improvement is coming to a close. It’s time to take your show on the road. It is likely you have integrated the final most essential pieces of yourself into one highly functioning human specimen – the new you. Relationships change a a result. In some regard you are complete. No longer do you need another to complete you. The old framework for relationships will, most likely, no longer work for you. A partner will have needed to keep up with the pace of your evolvement in order to remain relevant. He or she needs to be able to relate to a whole, integrated person. It is his responsibility. If a partner has chosen to take that on this could be a time when your relationship becomes completely workable, highly refined, and integrated. If not it begins to fade away. As always the issue is that your relationship with yourself is undergoing massive change. When you look in the mirror you may no longer see what you used to see. People can adjust to the new you, but it may take some time to adjust to yourself. The North node is encouraging alone time and a deeper connection to what your soul craves. That has remained consistent but more will be revealed to you this week – and beyond. Mars urges you not to revert back into the past because it feels comfortable and familiar. 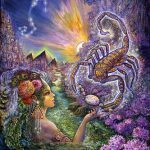 Mars encourages a release from the past – or at least a change in your perspective to the past. You’ve come to the end of the road in some regard. Endings for you coincide with the end of a job, the fading away of old responsibilities, the diminishment of self-sacrificia/victimization tendencies, and the misconception that you were ever in complete control of your work environment or the relationships you established. 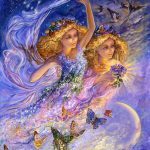 If you’re a light-worker, spiritual healer, or artist, your work may be greatly facilitated and advanced. For some this could be felt as a depressing time. For others a rare opportunity to raise your “level of play.” Essentially this is the big yearly “clean up operation” multiplied in intensity by a hundred. This is a phase that heals and frees you to enter into a more passionate, loving, and satisfying relationships. Health issues could encourage you to look within for answers, to end a dying or dead relationship, to connect with kind, helpful ancestors from the past, and to thoughtfully reveal dark secrets that drain your energy. It is likely you have a history of being abused within the work place – or maybe (less likely) you have abused others within the workplace. This is a chance to walk away from what you have tolerated in the past – or to apologize to someone you treated unfairly. Admitting you were wrong or forgiving yourself for not knowing what you didn’t know might be a life changer. You’ve outgrown the way you love and relate. Something better is on the horizon if you use this time to release and to lighten your load. There is a significant amount of power emanating from your physical presence these day. 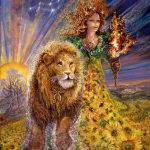 Whether or not you want to be, you are a force to be reckoned with, a transformative agent capable of devastating and bringing back to life those who come in contact with you. It seems you’re able to facilitate the removal of boundaries that separate you (and others) from the boundless love we all crave. 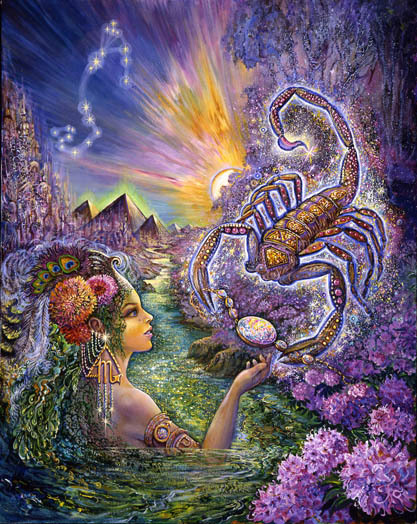 It’s all magical and intense and, as usual for Scorpio, it’s complicated. Mars in your 2nd house encourages you to keep yourself grounded in the natural world, to tell yourself the truth about the power you wield, and to hold yourself and others to some high ethical standards even if this entails some kind of personal loss. It’s not hard to ensnare others in your web or to render them powerless under your magnetic spell. Even if that kind of power temporarily bolsters your sense of self-worth ultimately it may boil down to an abuse of power. What makes it unlikely that you will use others to bolster your self esteem is a commitment to healing yourself from the abuses you suffered in love under the spell of another. It’s time to end a dark legacy by rewriting the rules under which you will operate in relationships. A commitment to remaining loyal to your constraints and limitations has about run its course. An old commitment is beginning to lose its grip on you. In the past your mindset (and maybe the nature of your communication) has attracted detached, cold, calculating, opportunistic people into your sphere. In your past life those may have been the kind of people you were most comfortable dealing with. A commitment on your part to remain loyal to your fears may have been set in stone. The spiritual equivalent of a jack hammer is shaking tings loose. The monster who grew to giant proportions in your mind over the years is in the process of being diminished and extinguished. Your mind changes as a greater awareness of your past – and the interwoven patterns that held it together – emerge into your conscious awareness. The past is losing its grip on you. The interwoven patterns are becoming clear. At the same time your inner strength is showing itself to be a force to be reckoned with. It’s becoming safe to trust yourself again. The hard part remaining is the need to let go of something you assumed you could hold onto as you stepped into your new life. The fact is you don’t need what you want to keep. Still it might be painful to let go. But it seems a diminishment of fear makes everything easier. A commitment to commitment is beginning to fade. You may feel somewhat burned out or as though something within you is beginning to lose momentum and destined to fail. The south node in your 1st house is encouraging you to move away from an old, “fear of failure” approach to life. You may be evolving beyond that as Juno (the commitment asteroid) comes to the end of the road. All Pisces planets are crammed into your 2nd house of ownership. You may not care if you own your house, your car, lots of stuff, wealth, resources, and the usual things that stabilize anyone’s life. What’s most critical for you is that you take possession of your soul and protect it’s interests. While most would say that money- or lack of it- limits their options, that rarely feels honest when asserted from the mouth of an Aquarian. Your playing a different kind of game. Your values are different, and realistically you can survive anyplace as long as your soul is getting the nourishment it needs. Surrounding yourself with music, art, wild natural settings, fine craftsmanship, and things that have endured the test of time (history) strengthens your stability. Mars is encouraging a connection with a new place and a new home within the next several months. It’s the place that has a low bar of entry for soulful types. If your honest you know that that is where you will survive and thrive. 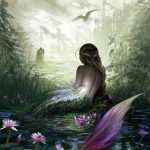 Pisces may be coming to terms with some elevated level of awareness that informs their physical self, their appearance, and their style and approach to life. An old commitment is expiring and a new one is about to take its place. The new commitment revolves around presenting yourself in the most authentic, natural, and honest way possible. A commitment to connecting with the most unique and brilliant aspects of yourself morphs into a commitment to reveal the true nature of your soul through your appearance. 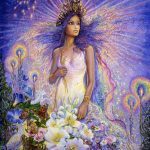 Clothes, jewelry, hair, makeup, and anything that emphasizes and clarifies the most essential, sensitive, and honest part of you can now be consciously integrated. Appearance may seem like a superficial consideration but its not if it speaks the unvarnished truth. That’s easier to say than it is to do. It takes some doing and some conscious cultivating to understand the nature of your soul well enough to know how to enhance or maybe dramatize it. Its influence, what it craves, what nourishes it, and how it attracts “soul mates” and soulful contacts requires some determination and some time to get to know it. Only those committed to an elevated sense of awareness and can connect to their soul and a pure representation of it as revealed through physical body. It seems the cosmos is assisting you in all the ways that make your physical appearance a healing inspiration to the world.